All the notes that the links in this biography restrict themselves to are personal recollections. Where the projects are not my own, they only deal with my own part in them. They are not in any sense complete histories. Where applicable I have linked to proper sources for more complete information. Similarly, the recordings mentioned here are only those in which I was involved. "I never studied music, but like many of my generation, played in bands at school from the age of about 14, messing about, in turn, with the banjo, guitar, trumpet, flute but settling for drums in the end because I wanted to be in a band and drummers were scarcest. 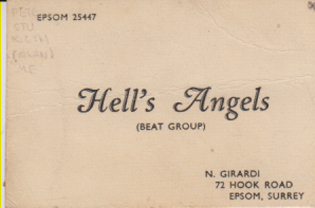 The first band I was in did a lot of Shadows/Ventures style instrumental music, the next played local dance standards - a lot of chuck Berry, hit parade & party music. Then I was in a Soul band for a while and after that an R&B group. 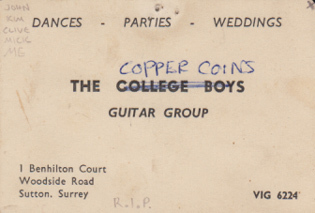 Around 1965, I settled into a band that slowly became stranger and stranger, winding up sounding like Soft Machine/Syd Barrett's Pink Floyd at about the same time that these groups first emerged onto the London scene. 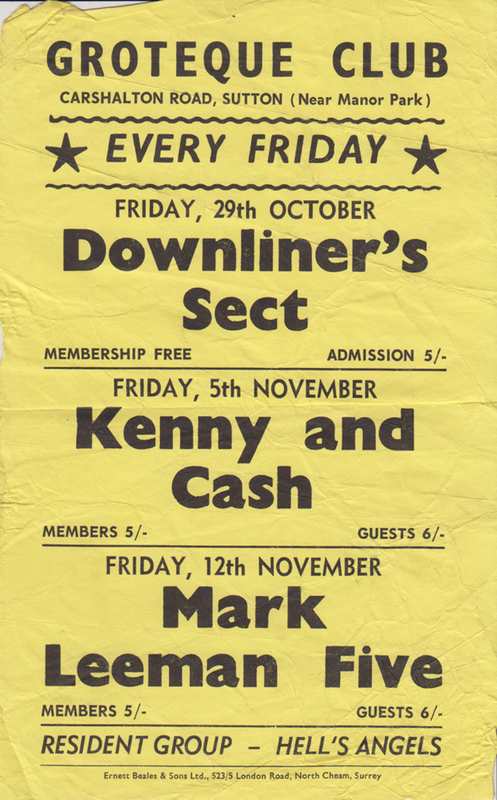 From being unemployable we suddenly started to get gigs in the same London clubs. The lists start shortly after that. I started keeping better records after I left Henry Cow, but they were still pretty patchy. So, the following endless lists are just bones until 1994 when they get more detailed. This is surely only for people who really want to know!" Co-founded (with Dave Stewart) The Ottawa Music Co. A 26 Piece Rock Composers Orchestra. 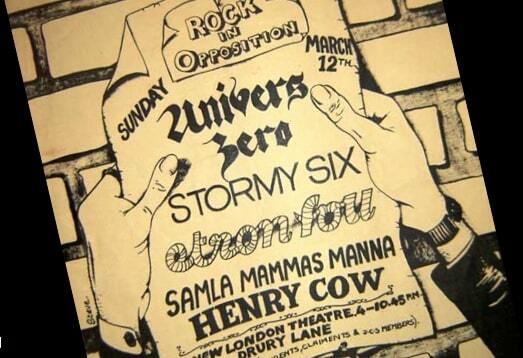 Joined Henry Cow with whom I remained until its disbandment in 1978. 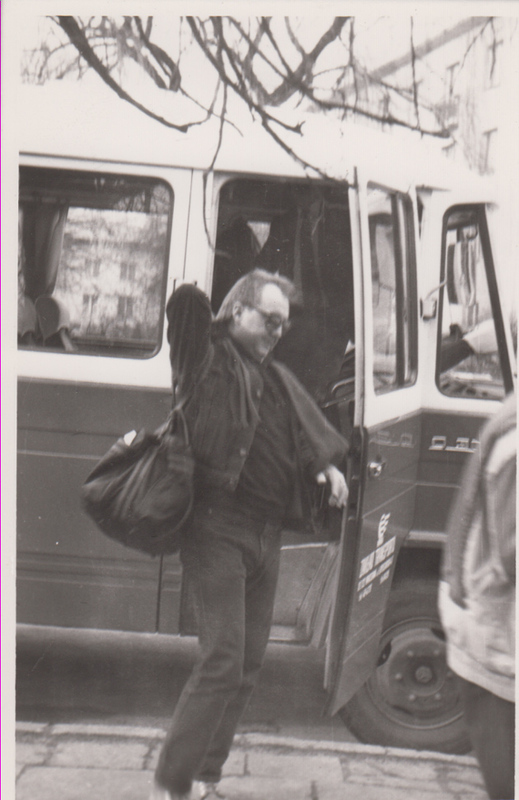 We toured continually all over Europe, wrote & performed music for 2 stage plays (Euripides' "The Bacchae" & Shakespeare's "The Tempest") as well as for two original ballets with the Cambridge Contemporary Dance Group. The group managed on 3 occasions to 'merge' itself with other groups or artists. First with Slapp Happy, then Robert Wyatt, & finally The Mike Westbrook Brass Band with Frankie Armstrong (aka The Orcestra). During this period, I also worked intermittently with Gong & both the London Philharmonic & The Berlin Radio Orchestras as soloist in David Bedford's 'Star's End'. January to June saw the last half year of Henry Cow in which we set up Rock In Opposition, organised a festival in London, wrote an entire set of new material, underwent several small personnel changes, revisited all the countries we'd ever played in and recorded our last LP (Western Culture). Our penultimate concert was in the cathedral square in Milan on July 25, 1978 (our last concert was to have been a festival in London, which we showed up for but as a result of eccentric planning on the promoters part, were unable to perform at). After this we all went our various ways. 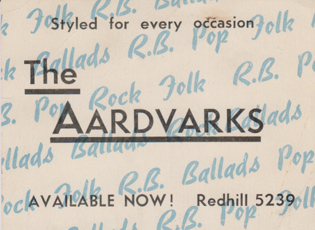 This was also when I founded Recommended Records (with Nick Hobbs) - an alternative, independent, non-commercial record distribution, mailorder network and label. And the group Art Bears (with Fred Frith & Dagmar Krause). After a month In Spain with Daevid Allen and Gong, I went with them in a cardboard airplane (featuring an exiting unexplained emergency stop in the Azores) to play at Giorgio Gomelsky's Zu Manifestival in New York, where I also played with Fred Frith and Peter Blegvad. 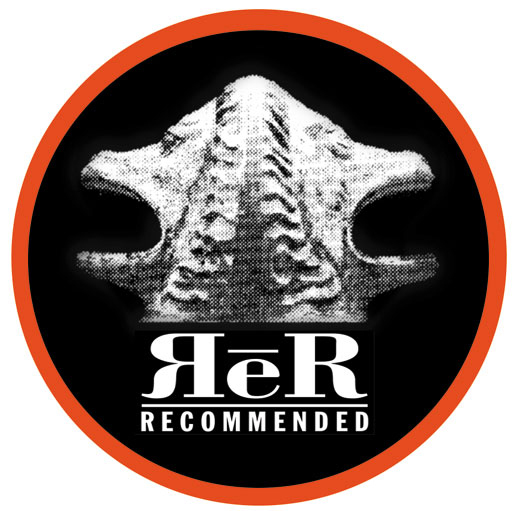 The ReR Logo, a double-headed lion, the ancient egyptian phonetic letter R, featuring Xerefu and Akeru, one facing toward the past the other to the future - this iteration derived from a photo I took in park in Brasil of a municipal rubbish bin lid. Tours in Europe and America with Fred Frith as an improvising duo. UCLA quartet with Fred Frith, Henry Kaiser, John French. Recording and concerts with Aqsak Maboul. Recording and tour with Art Bears. Print and publish the Henry Cow Book. Recording variously with The Residents, Aqsak Maboul, David Thomas, Daevid Allen, Lindsay Cooper. Tours in Europe, and USA with Fred Frith. Tour E & W Europe with The Black Sheep & The Work. Co-found the group Cassiber with Heiner Goebbels, Alfred Harth and Christoph Anders, Recording, Festivals and tours. Tour Japan with The Work. Recording with David Thomas and Anton Fier. Concerts with David Thomas and Lindsay Cooper as The Pedestrians. Formation of Duck & Cover (Tom Cora, Chris Cutler, Fred Frith, Heiner Goebbels, Alfred Harth, Dagmar Krause, George Lewis). Festival appearances. Tours in Europe and USA with David Thomas & Lindsay Cooper. Recording and tours with Cassiber in Europe, USA, Brasil. USA trios with Lindsay Cooper and Zeena Parkins. Cassix project at International Festival, Montepulciano (Heiner Goebbels, Alfred Harth, Franco Fabbri, Umberto Fiori, Pino Martini). Founded News From Babel (with Lindsay Cooper, Dagmar Krause, Zeena Parkins). Recording. First publication of book File Under Popular. Formation of Lindsay Cooper's Music For Films (Lindsay Cooper, Sally Potter, Phil Minton, Vicky Aspinall, Georgie Born). European tours. Tours with David Thomas and Lindsay Cooper in Europe, USA, Canada. Tours with The Accordion Club (David Thomas and John Kirkpatrick). Coordinator of the Young Musicians Project at the International Music Festival Montipulciano. Establish the Re Quarterly, an LP-Magazine of experimental music, cultural studies, technical & theoretical writing on popular music. Formation of The Wooden Birds (David Thomas, Alan Ravenstine, Tony Maimone, Jim Jones). Recording, Tours. Formation of Les Quatre Guitaristes De L'apocalypso-bar (Andre Duchesne, Rene Lussier, Jean Pierre Bouchard, Roger Boudreault). Recording and concerts in Montreal and Newfoundland. Tours in Europe, Canada, USA with the above, Cassiber and Music For Films. Produce Wooden Birds LP 'Blame The Messenger'. London Trio with Fred Frith and Tim Hodgkinson. Tours in Europe and Canada with Kalahari Surfers, Black Sheep & Quatre Guitaristes... Montreal Video . Bari Festival project with David Thomas and the Agaton Twins. 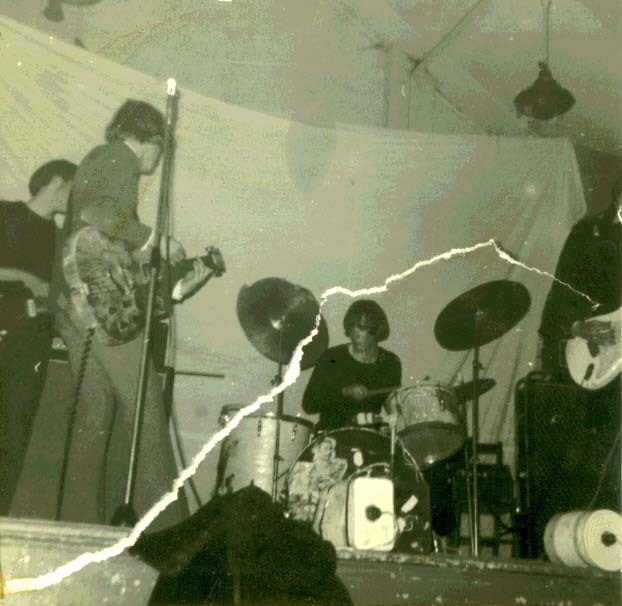 Reformation of Pere Ubu, Recording, US tour. Victoriaville Festival with Heiner Goebbels/Heiner Muller's 'Man in the Elevator'. With Fred Frith, Arto Lindsay, Andre Duchesne, Alfred Harth and Don Cherry. Film Music for Canada Filmboard with Rene Lussier, Jean Derome and Tom Cora. Recording & concerts with Peter Blegvad. Recording & performing with Pere Ubu, Cassiber, Les Quatre Guitaristes De L'apocalypso-bar, Kalahari Surfers, Peter Blegvad & in various improvising combinations. Formation of Perfect Trouble (Sibylle Pomarin Klaus Wilmanns, Tom Cora, Maggie Nichols). Recording. Concerts. Music Symposium, Newfoundland with Cassiber and Les Quatre Guitaristes De L'apocalypso-bar. Concerts with Rene Lussier and Jean Derome. Set up Points East record label, specialising in new music from Central Europe, and ReR Megacorp as label and new independent specialist distribution service. Premiere of Strange Drums by Lutz Glandien at International Festival of Electroacoustic Music, C.I.M.E, Berlin. Avant Festival, Lisbon collaboration and tours with Telectu in Portugal. In Moscow and Volgagrad with Lindsay Cooper's Oh Moscow (Phil Minton, Sally Potter, Hugh Hopper, Alfred Harth, Veryan Weston). Trondheim Electroacoustic Music Festival and Berlin concerts with Fred Frith. Recording of Lutz Glandien's 'Trompose' for percussion, tape and trombone (Connie Bauer) in Berlin. London concert with Eugene Chadbourne. Recording song project 'Domestic Stories' with composer Lutz Glandien, Dagmar Krause, Fred Frith, Alfred Harth. Inventionen 92 Festival, Berlin - Premiere of 'Turbo Mortale', by Lutz Glandien, for Drums, Tuba and live Electronics with Lutz Glandien and Michael Vogt (Tuba). Rotherhithe Art Gallery concert with Tim Hodgkinson. Tour Europe with American group Hail. Tour Sweden, Germany, France with Between project. Italian concerts with La 1919. Tour Switzerland, Austria with Wadi Gysi and Hans Reichel. Berlin concerts with Jon Rose, Shelley Hirsch, Konrad and Matthias Bauer. Premiere of Lutz Glandien's 'Trompose' for Tape, Electrified Drums and Trombone in Berlin. Chaos festival in Berlin and Austro-Hungarian Empire Tour with Jon Rose and Eugene Chadbourne: Cultural Terrorism Trio. New Music festival in Lisbon with Telectu and Cassiber. London Jazz Festival with Oh Moscow. Real Artways, Connecticut: Gallery Installation/concert with Charles Vrtacek and Tom Dimuzio. European trio tour with Jon Rose and Shelley Hirsch. Jon Rose Shopping project festival appearances. 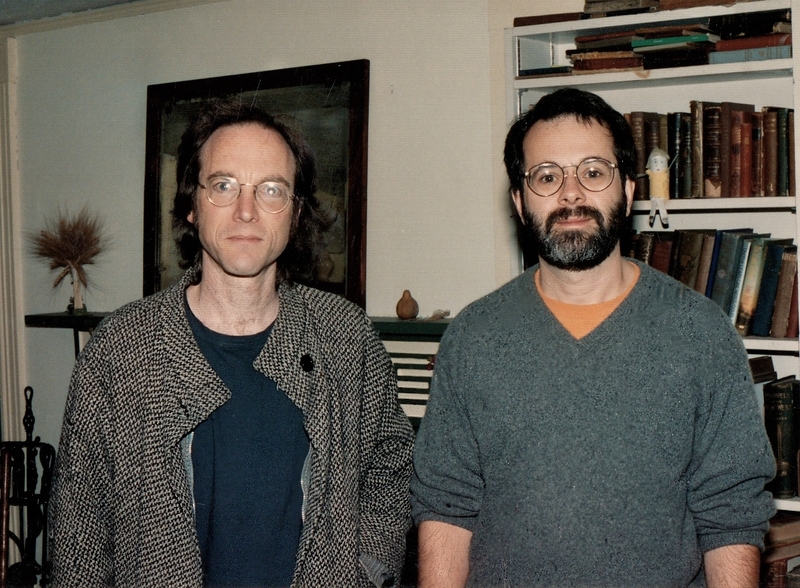 Recording with Peter Blegvad, Tim Hodgkinson The (ec) Nudes. 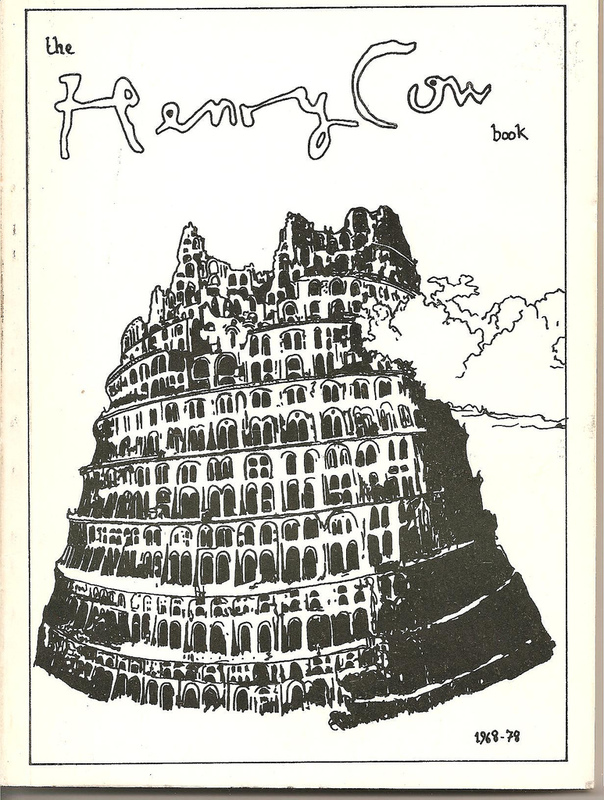 US Edition of File Under Popular published. European tours with The (ec) Nudes with Bob Drake added, Bass. Victoriaville Festival, Canada with The (ec) Nudes and Jon Rose Shopping project (with Otomo Yoshihide, Lauren Newton and Joelle Leandre). Duo concert with Tim Hodgkinson, London. Miro Foundation festival: Two duos in Barcelona with Tim Hodgkinson and Fred Frith. Lisbon Quartet with Telectu and Jacques Berrocal. Assemble p53 project for 25th Frankfurt Jazz Festival with Zygmunt Krauze, Marie Goyette, Otomo Yoshihide and Lutz Glandien. TV Programme. Fred Frith's Graphic Scores Orchestra. Duo concerts with Zeena Parkins. Music for Choreographer Josef Nadj's production L'Anatomie du Fauve with Stevan Tickmayer; performances at various Theatres in France. Duo tour with Zeena Parkins. AngelicA festival project with N.O.R.M.A. and Phil Minton. Jon Rose Shopping in Viennese mall. LMC Festival London - Electroacoustic programme (2 premieres of compositions by Lutz Glandien) with Lutz Glandien and Michael Vogt. Musique Action festival, Nancy - Shopping with Jon Rose, Shelley Hirsch, Otomo Yoshihide. Queen Elizabeth Hall Concert with Zeena Parkins. Esslingen Festival with Fred Frith. Ultima and Nordlyd Festivals, Norway, and NY Musik tour duo project with Tim Hodgkinson. Nordhausen Festival with Premiere of Klaus Wilmanns' Suite for 5 improvisers and Orchestra. Participation in the Jon Rose 'Techno with disturbances' project. Concerts and recording with N.O.R.M.A. in Italy and Greece. Record Music for Circus Project with Stevan Tickmayer. Berlin Festival with Lutz Glandien and Michael Vogt. Duo with Fred Frith at Lucern for Rec Rec. MIMI Festival, Arles with Peter Blegvad Trio. Recording for Otomo Yoshihide/Bob Ostertag project 'Twins'. Edinburgh Festival with Towering Inferno. Ulm Festival with Christian Marclay. Tour Japan with Fred Frith. Evenings of new Music, Bratislava. Duo concerts with Tim Hodgkinson. Tokyo concert series with Keiji Heino, Haco, Otomo Yoshihide, Michiyo Yagi. Hong Kong New Music Festival with Fred Frith. and Otomo Yoshihide. Berlin, Krakow, Prague festivals with Zeena Parkins. Tour Italy, Germany, Austria with Peter Blegvad Trio. Alternativa Festival, Prague with Peter Blegvad Trio. Japanese edition of File Under Popular published. Ring Ring Festival, Belgrade. Trio with Stevan Tickmayer and Erno Kiraly. Accidents and Emergencies, with Charles Hayward, Kaffe Matthews, Adam Bohman, Viv Dogan Corringham, Isa Suarez, John Bisset, Mario Diekuuroh, John Edwards, Kevin Hopper, London. Institute of Contemporary Arts, London with Peter Cusak and Kaffe Matthews. Photo exhibits for Extended Play exhibition, Photographic resource centre, Boston. AngelicA Festival, Bologna - p53 - the Movie. Special project with Marie Goyette, Otomo Yoshihide, Lutz Glandien and Zygmunt Krauze. Ring Ring Festival, Beograd. Trio with Jon Rose and Otomo Yoshihide and New programme with 8-piece N.O.R.M.A. Triennial, Koln with new quartet Tense Serenity with Fred Frith, Daan Vandewalle and Claudio Puntin. LMC Festival, London with N.O.R.M.A. Lecture at British Council Library and concert with Peter Blegvad Trio. Belgrade. Workshop and concert for Orchestra Chaos, Barcelona. Miro Foundation Festival with Zeena Parkins. Recording with John Wolf Brennan, Evan Parker, Julie Tippets, Paul Rutherford. Tour Chile and Argentina with Fred Frith. Buenos Aries trio with Fred Frith. and Jon Rose. Lectures in Santiago, Osorno, Buenos Aries. Electronicage series with Peter Cusak, Alquimia. Recording and concerts in Berlin with Lutz Glandien and Michael Vogt. Trio concerts with Massimo Simonini and Tiziano Popoli (Italy). Trondheim Festival with Zeena Parkins. Premiere of Das Zeichen der Drei, a horspiel for SFB, Germany with Lutz Glandien. Premiere of Timescales at Zwischenspiel Festival, ICA, London, with Fred Frith, John Tilbury, Frank Schulte. Sons D'Hivers Festival, Paris with Fred Frith. Laboratoires D'Aubervilliers, Paris with Fred Frith and Tom Cora. London Purcell Rooms, Disastrodome with Peter Blegvad Trio. London Queen Elizabeth Hall, Disastrodome with David Thomas' Mirror Man project (David Thomas, Linda Thompson, Jack and Bob Kidney, Bob Holman, Jackie Leven, Jane Bom-Bane, Peter Hammil). San Sebastian Festival with Fred Frith. Limelight, Kortryjk. with Daan Vandewalle and Jacques Palinckx. Stirling Festival with Peter Blegvad Trio. Knitting Factory New York, Unearthed' Quartet with Peter Blegvad, John Greaves and guest Fred Frith. Knitting Factory, New York with David Thomas, Linda Thompson & 2 Pale Boys. Instants Chavires, Paris, with Rene Lussier. Salone Della Music Festival, Torino with Fred Frith. VilniusJazz Festival with Fred Frith. Instants Chavires, Paris, Quartet with Tony Buck, Jean Marc Montera and Jean Francois Pauvros. Senza Parole, Milan, Live soundtrack for Carl Theodore Dryer's Die Vampyr with Giovanni Venosta and Roberto Musci. Knitting Factory, New York with Zeena Parkins. Concerts with Tom Dimuzio in Portland and Boston. Gallery opening. Downtown Gallery, New York. Solo concert and duo with Charles Noyes. Canadian Tour with Joanne Hetu. Montreal Theatre De La Chapelle, Duo with Rene Lussier, Trio with Joanne Hetu and Christoph Migone. Radio Concerts. Tour Italy with Fred Frith. Angelica, Musique Action and Moers Festivals with Tense Serenity. Opera House, Bologna, Lindsay Cooper's Oh Moscow arranged for orchestra by Veryan Weston, with John Edwards and Lol Coxhill. 3 days 'projects' at Moers Festival with Fred Frith, Zeena Parkins, Ikue Mori, Tim Hodgkinson, Co Streif, Lesli Dalaba, Daan Vandewalle, Albert Markos, Claudio Puntin, Mars Jones. Tour Japan with Hugh Hopper and Daevid Allen Trio (Gong International Family 30th birthday). Klangperformale 99 Premiere of 3:3-Dritter Versuch with Lutz Glandien, Bert Wrede, Ulrich Krieger. San Francisco, Bottom of the Hill with Tom Dimuzio and Fred Frith. Seattle Trios with Lesli Dalaba, Bill Horist, Amy Denio, Bill Horist. Los Angeles, Cal Arts, with Tom Dimuzio. Mexico City, with Fred Frith. Big Ear Festival, Budapest with Erno Kiraly and Ladek Katlin. Senza Parole 99, Milan, Music for three silent films with Jon Rose, Claudio Gabbiani, Roberto Musci. Sons D' Hiver Festival, Paris. Premiere of Signe de Trois, Music-Theatre piece by Chris Cutler (text) and Stevan Tickmayer (music) with Marie Goyette, Eric Houzelot, Christian Germain. French Institute, Lisbon with Telectu. The Spitz London. Duo with Jon Rose. Museum School, Boston and Yale University, Hartford Talks and Sonic Arts Class. VFW hall, Cambridge. Solo Concert. The Red Room ,Baltimore. Solo and Duo with Jason Willet. Speak In Tongues, Cleveland . Solo. Tonic, New York. Duo with Kato Hideki, also Zeena Parkins. Bordeaux, Zoobizarre with Jean Marc Montera, Tony Buck, Jean Francois Pauvros. Friche Belle de Mai, Marseilles with Jean Marc Montera, Tony Buck, Jean Francois Pauvros. Victoriaville Festival, Canada, Mirrorman part 2 with David Thomas and Pale Orchestra. Victoriaville Festival, Canada with Fred Frith. Musique Action Festival, Centre Culturele Nancy Vandoeuvre, France. La Signe de Trois. Music Theatre piece with text of mine and music by Stevan Tickmayer and myself, with Marie Goyette, Eric Houzelot & Christain Germain. Director Philippe Thomine. Warwick University, England, with Peter Blegvad Trio. Great American Music Hall, San Francisco. Quartet with Fred Frith, Tom Dimuzio and Beth Custer. Knitting Factory, Los Angeles. Trio with Fred Frith and Tom Dimuzio. Belgie, Hasselt, Belgium. Duo with Kato Hideki. Centre Choreographique, Orleans, France. Music with Stevan Tickmayer for Josef Nadj Dance Ensemble. Kafe Mysik Duo, Lyon, France. - Solo Mirror Man, UK. - TOUR With David Thomas, Linda Thompson, Bob and Jack Kidney, Bob Holman, Andy Diagram and Keith Moline. South Hill Park Arts Centre, Bracknell. Big Ear Festival, Budapest. - With Peter Cusak. Tonic, New York. Duo with Iku Mori and quartert with Ikue, Kato Hideki & Sylvie Courvioisier. The New Brookland Tavern, West Columbia, South Carolina. Solo and duo - with Kevin Green. Aterforum Festival, Ferrara, Italy - With Peter Blegvad, John Greaves, Karen Mantler. Radio France, Paris, France. Radio work with Xavier Garcia. Subtropics Festival. PS742, Little Havana, Miami. Solo. Flicker Theatre and Bar, Athens. Solo. Pauline Olivieros Foundation. Houston. Solo.. With Susan Alcorn. 811 Art Lounge (The Robert Tatum Studio), San Antonio. Solo. Ballet Austin Academy, Austin. Solo. Dallas Center for Contemporary Art. Dallas. Solo. Bare Hands Gallery, Birmingham. Solo. Ruby Green Contemporary Arts Center. Solo. John Church of Christ, Louisville, KY. Solo. Detroit Art Space. Detroit. Solo. Schubas, Chicago, 3159 N. Southport. Solo. 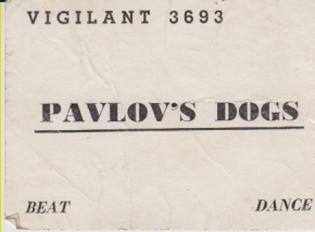 Beachland Ballroom & Tavern, Cleveland. Solo. With Home and Gardens. Signal 66, NW Washington DC. Solo. Instants Chavires, PARIS, France. Solo. Instants Chavires, PARIS, France. Trio with Jean Marc Montera, Jean Francois Pauvros. Kunstmuseum, LUCERNE, Switzerland. With John Wolf Brennan, Daniele Patumi. Cave 12, GENEVA, Switzerland. Solo. MoMA at The Zodiac, 190 Cowley Rd., Oxford, England. Duo with Fred Frith. Podewil, Violet Music series. Berlin. Solo. Co-Lab 2003, Teatro Sao Joao, Porto, Portugal. Solo. and with Jon Rose, Phil Minton, Eugene Chadbourne. Musicbar 10°, Innsbruck, Austria. Solo. The Spitz, London. - With Thomas Dimuzio. De Bailie Centre for Culture and Politics, Amsterdam, Holland. 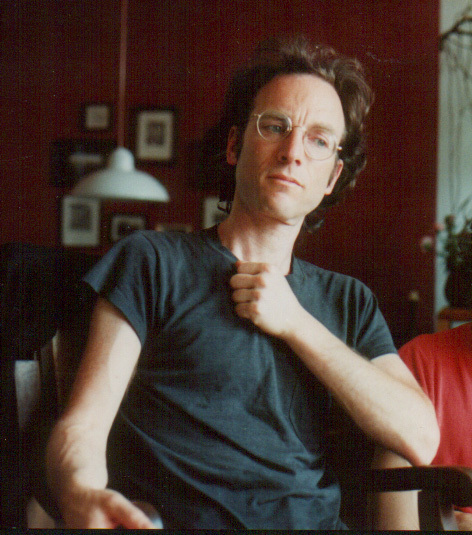 On Imaginary Media - a multimedia theatre presentation by Peter Blegvad. The Abergavenny Food Festival. The Peter Blegvad Trio. Praha, Laterna Magika Drum Ensemble, extended with Milan Cais, Ondøej Smeykal, Urna Chahar tugchi, F ilip Topol, Josef Klíè. European Improvisors Ensemble. New programme with two new commissioned pieces, and works by Earl Brown, John Cage, Chris Cutler. Festival 38rugissants. Grenoble, France. Duo with Xavier Garcia. Fylkingen Stockholm, Sweden, Torkel Knutssonsgatan 2, Stockholm, Sweden Solo. Avantgarde Fiesta Solo and in combinations. With Faust, Charles Hayward, Uli Trepte and others. Teatro Cavallerizza Reggio Emilia, Italy. Writing II - with Heiner Goebbels (piano), Ensemble Icarus, Michele De Marchi (voce recitante). Museum of Contemporary Art Boston, North Adams, Mass, USA. Man with the X-Ray Eyes. With Pere Ubu. Jazz a LUZ, Luz, France. With Fred Frith. Jazz a LUZ France. With Reel Meeting (Xavier Garcia, Lucia, Recio, Jean-Paul Autin, Eric Brochard). Jazz Festival Parthenay. With Reel Meeting. Zappa Club Tel Aviv, Israel. 22.00. With Fred Frith. 2 Shows. Acousmania 2005 Bucaresti The International festival of Electronic and Computer Music (Fourth Edition). With Iancu Dumitrescu, Anamaria Avram, Tim Hodgkinson, the Hyperion Ensemble. Moers Festival Moers, Germany. With Pere Ubu. "Live free or diet." Estonian Puppet Theatre Tallinn Estonia. 20:00. with Taavi Kerikmae. Musique Action Festival Nancy-Vandoeuvre, France. With Iancu Dumitrescu, Anamaria Avram, Tim Hodgkinson, Rhodri Davis, Elio Martescielo. New compositions for spatialised 6-way processed sound projection. Byrd Theatre Richmond VA, James River Film Festival. With Pere Ubu, live underscore to Roger Corman's "The Man With X-Ray Eyes"
Contemporary Music Festival, Belfast Duo with Fred Frith. Contemporary Music Festival, Belfast Concert with Telectu. Akademie der Kunste Berlin. Herb Robertson Trumpet (NY), Kim Clarke - E-Bass, Terry Jenoure Voice, Violin. 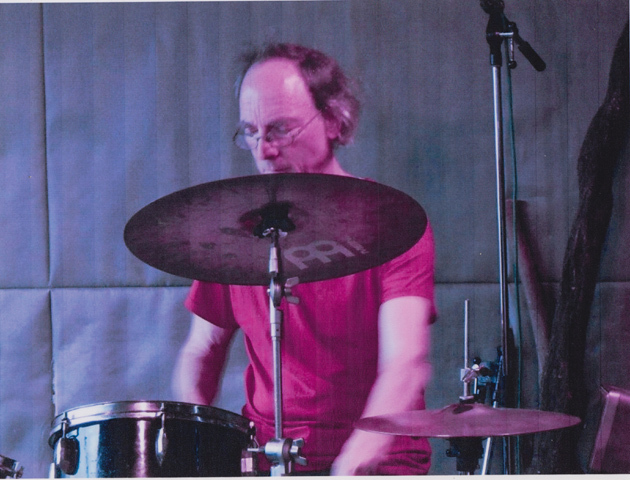 Chris Cutler, Drums, perform compositions by Terry Jenoure, Sibylle Pomorin, Franz Martin Olbrisch. Tritonales Festival, Paris. Mahavishnu Birds of Fire Revisited (Hugh Hopper, Patrice Meyer, Francois Verly, Chris Cutler). Canturbury Festival The Marlowe Theatre. With Daevid Allen, Hugh Hopper. City Halls, Glasgow. Performance of p53 for Orchestra and soloists with The BBC Scottish Orchestra conducted by Ilan Volkov. Soloists: Zeena Parkins, John Rose, and Chris Cutler. Queen Elizabeth Hall. Peter Blegvad Trio, with Plastic People of the Universe, London. Musique Action, Nancy-Vandoeuvre, with Reel Meeting (Xavier Garcia, Lucia, Recio, Jean-Paul Autin, Eric Brochard). Musique Action, Nancy-Vandoeuvre Duo with Fred Frith. The Borderline, London. With Brainville3 (Daevid Allen, Hugh Hopper, CC). Pannonica., Nantes, France. With Tim Hodgkinson and Elio Martusciello. Pannonica. With the assembled company. Le Triton, Paris. With Brainville3. The beat goes on...abbiamo solo cambiato il ritmo festival, Milan With Brainville3. Grote Kerk Veere, Holland. with Daan Vandewalle. Espace Demeer, Brussels, Belgium. Concert Acousmatique (30). With Iancu Dumitrescu, Ana Maria Avram, Hyperion Ensemble (Tim Hodgkinson, Mirel Iancovici, Jean-Philippe Collard-Neven, Janet Pape, Kornelia Bruggmann, Gustavo Aguilar, Robert Reigle, Monica Timofticiuc). Audio Art Festival, Krakow, Poland. Solo. Montevideo, Marseilles. An Open Cage, With Daan Vandewalle and Jean-Marc Montera. The Luminiere, London A Stockhausen tribute, with Daan Vandewalle and Robin Rimbaud. Centrum Kultury Zamek, Poznan. Poland with Reportaż "Operacja media"
Cafe Oto, London. LMC Festival Solo. OdeGand. Ghent Handelbeurs, Gent, Opening event of the Flanders Festival. The Bad Boys Collective (Daan Vandewall, Anre Deforce, Jean-Marc Montera, Chris Cutler). Cage programme. International Festival of Contemporary Music Melos-Ethos. Bratislava. Bad Boys with Daasn Vandewalle, Arne Deforce and Jean-Marc Montera). Cage programme. Avantgarde Festival, Schiphorst, Germany. 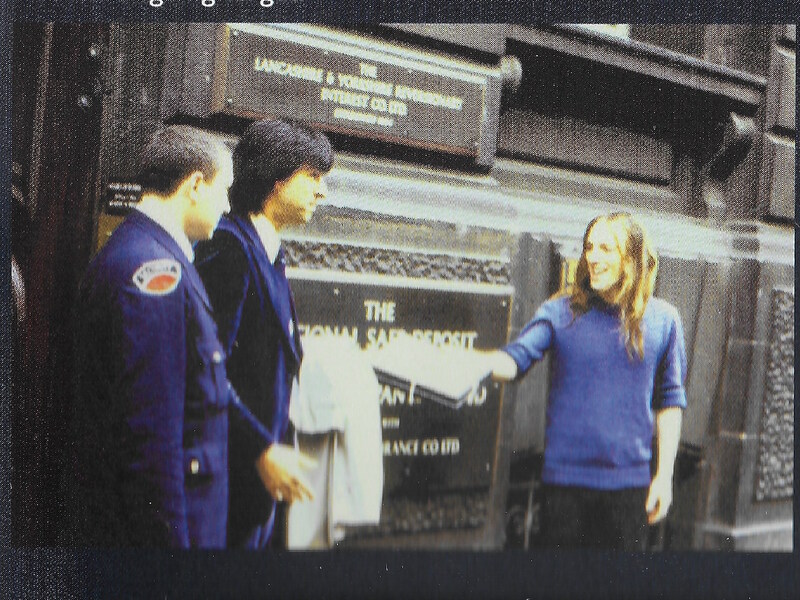 with Yumi Hara, Geoff Leigh, John Greaves - later to become The Artaud Beats. Spirit of Gravity. Komedia Studio Bar, Brighton, UK. with Andy Saunders' Pimmel. [Later to become Himmel. Programme: Adam Bushell performing Alvin Lucier's I Am Sitting In a Room, The Sogchestra performing Terry Riley's In C and Pimmel performing Andrew Saunders's Massed Fuzz Organs]. Ad Libitum festival. Centre for Contemporary Art, Ujazdowski Castle Laboratorium Hall, Warsaw. Solo, with Andrew le Lotbiniere (dance) and trio with Jerome Noetinger, Marek Choloniewski with Julyen Hamilton (dance). Cafe OTO. London. with Peter Blegvad, John Greaves, Karen Mantler. Music as Social Theory. Zacheta Gallery, Warsaw. Plunderphonic talk and discussion. SOUND of Stockholm, Stockholm. EWA7 - Annie Gosfield, Roger Klieir. Lakeside Arts Centre. University Park, Nottingham. London College of Communication's Sound Art & Design faculty, Elephant and Castle, London. Lecture. MaerzMusik 2012 . Berlin. with Annie Gosfield, Roger Klieier. Cocart Music Festival, Torun, Poland. Solo. Kastan - scene of Unijazz. Prague. Solo. The House of Arts. Solo.Cage Festival, Ostrava. Gottfrei, For John Cage, Opava. Solo..
Sala Kameralna. John Cage: The Man, the work, the paradox. Krakow Academy of Music. Talk. Performance with Orkiestra ElektroNova. Recital Hall Birmingham Conservatoire. Stochkhausen Festival of Light. Performance from Aus den Sieben Tagen with Richard Barrett. Sonic Circuits 2012. Musique Noir, with David Thomas. Nitrianska Galéria Župné nám. 3, Nitra.Solo. With Amy Knowles and others. Sklenena Louka (Glass Meadow) Solo. With Amy Knowles and others. A4, Bratislava. Solo. With Amy Knowles and others. Sakedelic Space Shuyukan, Oumi-Hachiman - guest David Sinclair. JASMIM (Japanese Association of Study of Musical Improvisation) conference, at University of Hiroshima, panel discussion, concert with Yumi Hara and deliver keynote paper. Guggenheim House, Kobe -l guest Haco. Espace Pousseur Conservatoire Royal Liège. Liège. Talk on Loops and Solo concert. Huis 23, Bruxelles. Talk on Loops and Solo concert. University of East London, London, UK. Improvisation Workshop with Yumi Hara and Guy Harries. Eavesdropping Series, Spectrum, New York, USA. Chris Cutler & Yumi Hara with Kato Hideki. Fylkingen, Stockholm, with Songs Between (Lars Jonnsson, Niklas Bilstrom, Sten Sandell). Teater Bråddgatan, Norrköping. with Songs Between. Hateiva, Jaffa, Israel. with Iancu Dumitrescu, Ana Maria Avram, The Hyperion Ensemble. Tmuna Theatre, Tel-Aviv. Premiere of p53 for Chamber Ensemble and four Soloists, with Israeli Contemporary Players, Tim Hodgkinson, Maya Dunietz, IIan Volkov. Barbican Centre, London, part of the EFG London Jazz Festival, with Henry Cow, News from Babel, Music for Films, Oh Moscow playing the music of Lindsay Cooper. 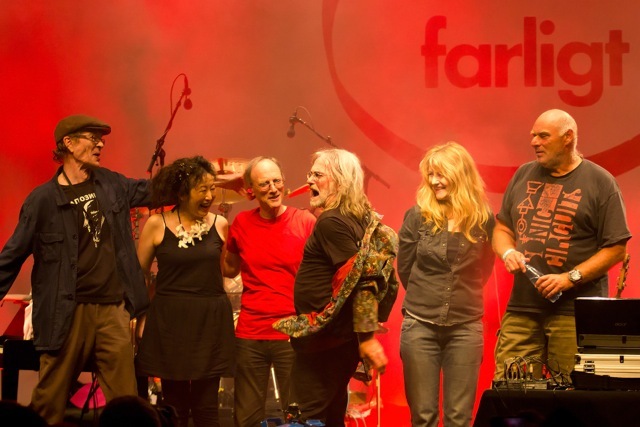 Teatro Diego Fabbri, Forlí, Italy, with Henry Cow, News from Babel, Music for Films, Oh Moscow playing the music of Lindsay Cooper. Quarantine field Vernissage for Loek van Saus with Geoff Leigh, Colin McLure. Naherholung Sternchen, Berlin, Jon Rose's Wreck with Olaf Rupp, Gerhard Uebel, Jon Rose, Audrey Chen, Tristan Honsinger, Meinrad Kneer, Klaus Kuervers, Antonio Borghini Clayton Thomas, Tomomi Adachi. New Bar Isshee, Tokyo with Yumi Hara and Mitsuru Nasuno. University of East London, London, UK Graphic Score Workshop with Yumi Hara and Guy Harries. FUEL (Festival of performing arts at University of East London), with Yumi Hara + Kengo Sakamoto, Gachapin Kazuya Uechi. performance and panel discussion. with Nimmersatt (Daan Vandewalle, John Greaves) and Japanese microtonalists Syzygys. Peter Blegvad Quartet, with Karen Mantler, John Greaves. Orkestra Angelika:'The Nature Theatre of Nowhere', with Jon Rose, Ilan Volkov, Charles Curtis, Hitomi Shimuzi, Hiromi Nishida, Daan Vandewalle, Dagmar Krause, Shelley Hirsch, Karen Mantler, Peter Blegvad, John Greaves, Alvin Curran, John Oswald, Uchihashi Kasuhisa, Thomas Dimuzio. Teatro Manzoni, Bologna. Orchestral concert at with p53 for Orchestra and Soloists - Daan Vandewalle and Thomas Dimuzio. Ilan Volkov conducting the Orchestra del Teatro Communale di Bologna. Festival G. Enescu, Sala Mica a Palatuli, Bucharest. With Hyperion Ensemble, conducted by Ilan Volkov. Works by Iancu Dumitrescu, AnaMaria Avram. Feira da Musica Beja, Casa da Cultura, Palco Interieur, Beja, Portugal. With Vitor Rua and JP Simoes. Artchipel Festival 2015, Auditorium di Via Meda Rho, Milan. Artchipel Orchestra plays Lindsay Cooper. Unlimited Festival, Wels. With Hope. Satin Doll 2000, Sendai, JAPAN, with Yumi Hara and Eiji Inoue (perc). TOKUZO, Nagoya with Half The Sky. Club GOODMAN, Akihabara, Tokyo with Half The Sky. Recording various Lindsay Cooper compositions with Orchestra Artchipel in Milan. University of East London Experimental Music & Improvisation Lunchtime Concert Series, Performance of ‘Conspiracies’ with Yumi Hara, Guy Harries and music students. Festival Izlog, Showroom of Contemporary Sound 2016, Zagreb. With Fred Frith, Heike Liss and Susana Santos Sliva. Café Oto, London. With This is not This Heat - 40th Anniversary concert with Charles Bullen, Charles Hayward, Frank Bing, Alex Ward, Alexis Taylor, James Sedwards, DanielO'Sullivan, John Edwards. Marshall Oren, Laura Groves, Merlin Hayward and David Cunningham. KUDA, Novy Sad: Indefatigable Residencies: a programme of lectures, discussions, workshops and performance preparation with ‘the protagonists of the independent music scene in Novi Sad, musicians and researchers, university professors and assistants, students, friends, music and activists: Nenad Marković, Milan Milojković, Lenkes László, Marina Džukljev,Vladimir Rašković, Dunja Crnjanski, Nemanja Sovtić, Đorđe Marković, Milan Nenin, Filip Đurović, Vladimir Orešković and collectives GKP & KUDA.ORG'. Rock in Opposition, Carmaux, France. With Jump for Joy! Tanzhaus NRW Dusseldorf. Premiere of La Suite, dance sequel to Pina Bausch's Cafe Muller, by the Fabien Prioville Dance Company, music with Nikola Kodjbashia, Tim Hodgkinson and Emma Bonnici. Radio Revolten Festival, Halle, Germany. Various events: Solo concert with Interruptions, live studio improvisation with Knut Aferman and Sarah Washington, and radio presentations. Anti Festival, Novy Sad, Serbia. Various events inc. concerts, talks, discussions, performance of Conspiracies and book launch of Serbo-Croation translation of File Under Popular. Sabotage, Lisbon with Vitor Rua and JP Simoes. Centre Montevideo, Marseilles. Solo 'Not a Walk in the Park'. -KoncertKirken, Copenhagen with Lotte Anker. -Rock Bar Starless, Osaka performance of cc Conspiracies with local participants. Koncertkirken, Copenhagen with Lotte Anker and Lars Greve. Goethe Institute, Lisbon. Umsceet conference and festival on East European Music, Plastic People/Ivan Jirous project with Ivan Bierhanzl, Vitor Rua, Carlos Zíngaro and Manuel Guimarães. Bienal Jorge Lima Barreto, Vinais, Portugal, with Helena Espvall and Nuno Reis; and participation in Vitor Rua's Opera Caretos Digitais. Audio Art Festival, Krakow: solo concert and conference paper. Performance of Conspiracies with Yumi Hara, Guy Harries and students at the University of East London. 1978. Founded Recommended Records Distribution and Label. 1982. Founded November Books (publishing). Publish The Henry Cow Book. 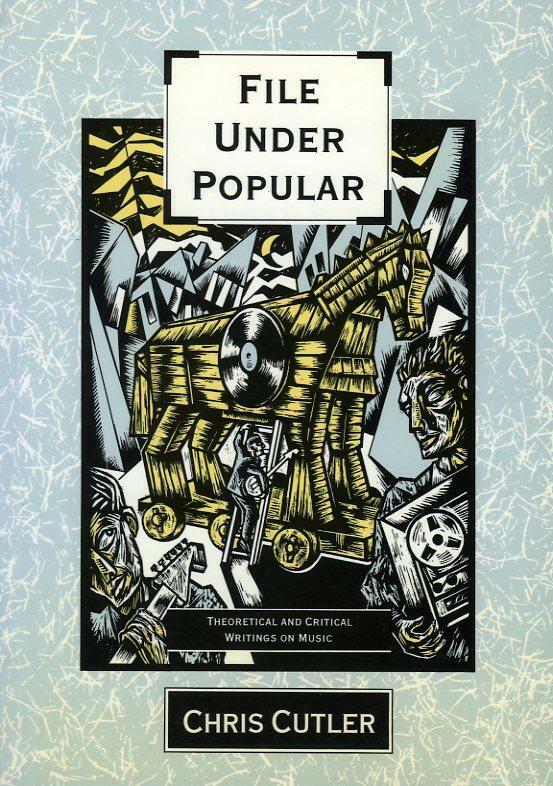 1984 First publication of File Under Popular (theoretical & critical writings on popular music). 1994, Revised German edition, publisher Michael Schwinn. 1996, Revised, expanded Japanese edition, publisher Susei Sha. 1999, Revised Polish edition, publisher Zielona Sowa. Numerous articles and papers published in Germany, Italy, Greece, Czechoslovakia, Britain, Denmark, Holland, France, Hungary, Poland, Canada & America. Plunderphonia selected for Simon & Schuster 'Classic Essays on C20 Music' , 1996. Involved in IASPM (International Association for the study of Popular Music), contributing to conferences, working papers & yearbook. Founded the ReR Quarterly and UNFILED ReR Sourcebook Series (CD-magazine and journal) 1985 - 1997. Gives sporadic talks & lectures (Italy, UK, USA, Canada, USSR, Jugoslavia, Holland, Norway, France, Germany, Brasil, Argentina, Chile). PROBES podcast series for the Museum of Modern Art, Barcelona. 2012 ongoing.